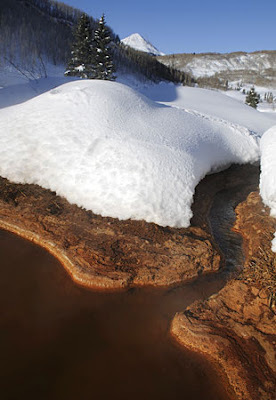 Nothing beats the chill of winter like a thermal soak in a hot spring. Here are 16 of the coolest hot springs you'll find around the world, guaranteed to keep those toes warm and cozy. When a country named Iceland is famous for a hot spring, you know you’re in for a cool treat. The Blue Lagoon boasts more than 1.5 million gallons of seawater, heated by the same intense geothermal activity that powers Iceland’s sometimes-disruptive volcanoes. The water hovers around 100 degrees all year, so you can enjoy the outdoor pool — and its spectacular natural surroundings — even in winter. If you like your hot springs au naturel, head to Hot Creek in the mountains of eastern California. 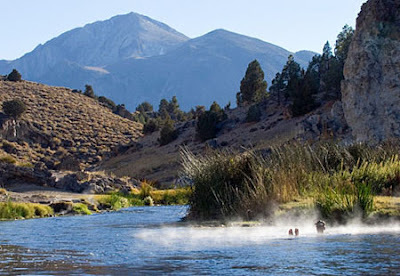 The hot spring is in a remote area not far from the small town of Mammoth Lakes, tucked into the rocky landscape of Inyo National Forest about a mile off U.S. 395. There you’ll find changing rooms, a few primitive toilets, delightfully warm water and little else. Colorado’s Strawberry Park Hot Springs is downright delicious, fed by the same thermal spring that gave the nearby town of Steamboat Springs its name. Bathers enjoy the hot mineral waters in a rustic mountain setting, featuring waterfalls and stone-lined pools heated up to 104 degrees. Be sure to try the in-water massage therapies. 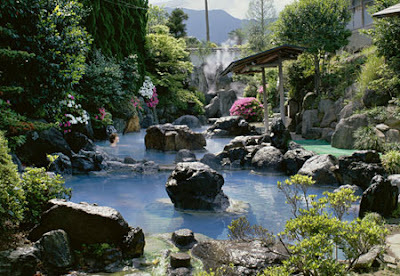 Japan has had a love affair with its onsen, or hot springs, for thousands of years. Arguably the most famous — and, for our money, the coolest — is Beppu, on the island of Kyushu. Beppu is both a hot-spring area and the resort town that has grown up around it, and visitors will find no shortage of bathing areas for enjoying a sublime soak. Some of the best include Kannawaen, Takegawara and Shibaseki. 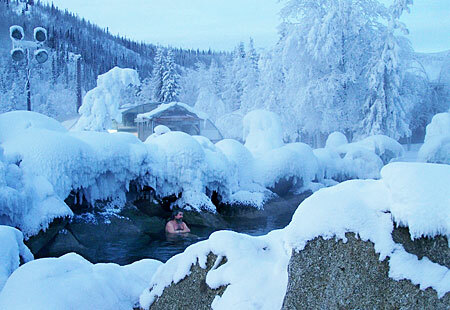 Hot springs don’t get much cooler — literally and figuratively — than Chena Hot Springs, about 60 miles northeast of Fairbanks. Don’t let the Alaska Interior location chill your enthusiasm for this toasty outdoor spring, though: The natural pool is open year-round and is especially warming on snowy days. By the way, in winter this place is renowned for its stunning views of the northern lights. 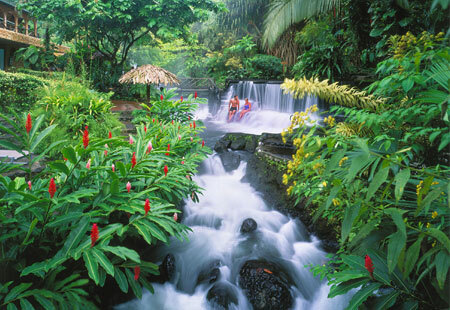 Costa Rica's La Fortuna district is dominated by the highly active Arenal Volcano, which kindly heats up the underground water for its human neighbors. The resulting thermal springs are plentiful, and beautiful too — tumbling down waterfalls into inviting pools in a lush, green jungle setting. Want to bathe in history? Try Hieropolis in southwestern Turkey. A spa retreat for millennia, the hot spring here flows into pools that once soothed the ancient Greeks. 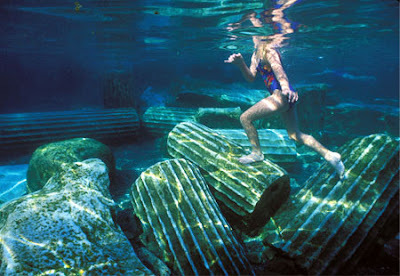 An absolute must is the so-called "sacred pool," where fluted columns straight out of a history book lie scattered underfoot in the clear, 95-degree water. 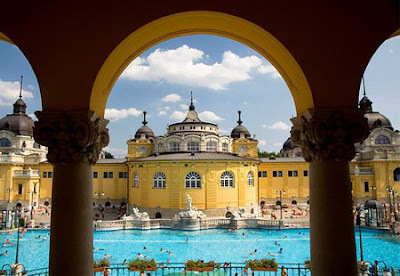 Hungary — particularly the capital, Budapest — has a longstanding tradition of public baths, some of them hundreds of years old. Our favorite is the Széchenyi Baths, an enormous thermal wonderland in the heart of Budapest fed by a pair of hot springs. Besides being a haven for the hot-spring enthusiast, this ornate neo-Baroque facility is absolutely gorgeous. Yellowstone National Park is widely known for its thermal activity, but take care here: Most of Yellowstone’s hot springs are too hot for humans to swim in safely. One place in Yellowstone where you can enjoy a nice hot soak is Boiling River, a natural hot spot that’s surrounded by scenic beauty. You’ll find it near the border between Wyoming and Montana, just off the North Entrance Road. 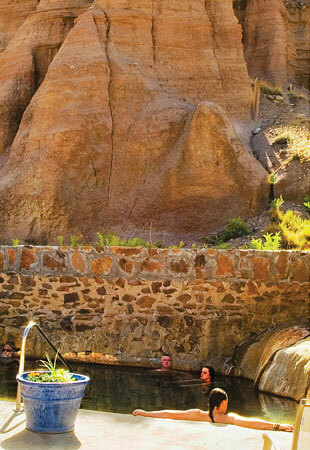 Nestled amid forests and mountains a few miles south of the Colorado border is Ojo Caliente, whose hot springs are rich in the minerals lithium, iron, soda and arsenic. The Ojo Caliente Mineral Springs resort serves them up piping hot in 10 pools, combining the minerals in a variety of ways that many people consider therapeutic. This hot spring is tucked inside Oregon's Cascade Range, a place that nearby Indian tribes used to visit regularly. 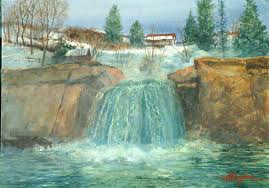 These days, the hot spring is part of the Breitenbush retreat center, and is available for day use or longer stays. The warm mineral waters bubble their way into several soaking tubs and rock-lined pools, sitting serenely on a wooded hill overlooking the Breitenbush River. With a name like this, Bath has to be a bather’s delight. The English city earned its name after the ancient Romans took a liking to the thermal waters that call this area home. 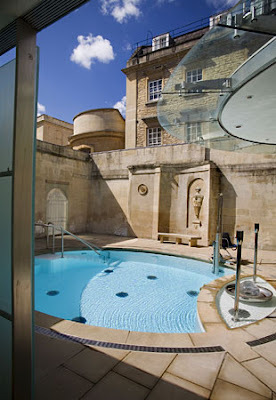 You can still visit the Romans’ favorite hangouts, but they haven't been open for swimming in a long time — so if you’d like to take a dip yourself, visit the Thermae Bath Spa, which channels the underground hot spring into a tempting selection of Bath baths. Of the many hot springs that dot California, Calistoga may be the most famous and historic. The spring that lies beneath this part of Napa County has fed a thriving hot-spring industry for nearly 150 years. Dozens of spas, resorts and other facilities offer a sampling of the hot stuff — and since this is wine country, you might want to pair your soak with a succulent local vintage. Hot Water Beach offers a rarity: the opportunity to dig your own hot-spring pool. 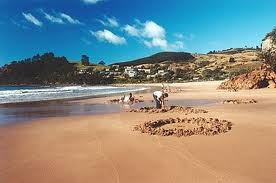 The beach, on New Zealand's North Island, lies above a hot spring whose waters trickle upward through the sand. Enjoying your own natural hot tub requires little more than waiting for low tide and then digging a hole big enough to sit in. How cool is that? The word hammam conjures up images of steaming-hot baths in the more exotic locales of the Middle East. Whether or not real-life hammams are as exotic as all that is for you to decide, but they’re an undeniable treat for hot-spring lovers. 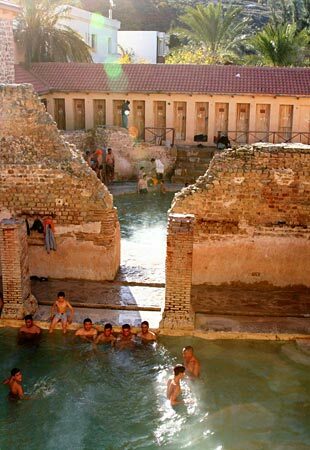 Our favorite: Hammam Essalihine in northern Algeria, which has operated since Roman times. The hot spring’s waters are said to be good for skin and respiratory conditions. Dunton Hot Springs is cowboy-country cozy. The spring is in a remote mountain area of southwest Colorado, and the only civilization for miles is the restored ghost town of Dunton, complete with saloon, log cabins and horses to ride. Visitors can follow in the bootsteps of the Old West-era residents, who used to soak in the hot springs after working in the nearby mines.